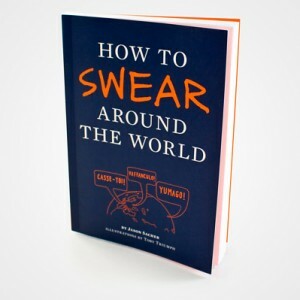 This 128 page book ‘How To Swear Around The World’ is packed with elaborate insults, curses and phrases that would make your mother cry (if she understands what you are saying, of course). It even includes pictures and phonetic pronunciation to ensure you get your dissing down to a T.
Some might call it an essential skill for the discerning traveller. However, be aware that some of the phrases that appear in this book could land you in some serious bother if you use them in the wrong situation!